CLEVELAND -- Recovery efforts are expected to begin Sunday for a small plane carrying six people that disappeared over Lake Erie near Cleveland’s shores. A dive team was called in to begin the preparations, but by afternoon, officials said weather and water conditions would not allow for the operation to get started until the next morning. Private and U.S. Marine Corps divers are helping in the recovery mission, CBS Cleveland affiliate WOIO reports. A timetable for the mission is unknown, says Khalid Bahhur, commissioner for Burke Lakefront Airport. Police chaplains are also walking Lake Erie’s shores in search of debris, Bahhur said. If any is found, it will be handed over to the National Transportation Safety Board, he said. 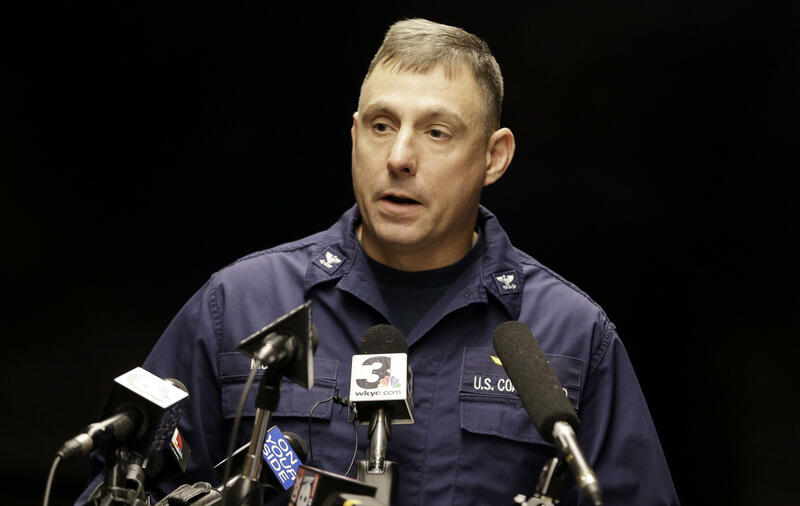 The Coast Guard will rejoin the search if debris is discovered, WOIO reports. The Coast Guard only takes part in search and rescue missions, which is why the city has stepped in. John T. Fleming, chief executive of a Columbus-based beverage distribution company, was piloting the plane. His wife, Suzanne, their two teenage sons, Andrew and John - who goes by “Jack” - and two neighbors whose names have not yet been released were aboard. Fleming’s father, John W. Fleming, told The Columbus Dispatch the family and friends were attending a Cleveland Cavaliers basketball game. “We’re just in shock,” he told the newspaper. The statement said that by the time the search was suspended at 7:30 p.m. on Friday, it would have covered more than 128 square miles of Lake Erie and spanned more than 20 hours. Tracking service FlightAware logged only three location pings for the plane after takeoff from the airport, and the last one indicated rapid altitude loss. Authorities have said there were no distress signals from the pilot. They expected three vessels, all equipped with sonar technology, to be on the water Sunday. Bahhur said such accidents are a rare occurrence for the airport. A twin-engine Beechcraft Baron with one person aboard crashed into Lake Erie after taking off from Burke in 2008. Fred Szabo, interim director of Cleveland Hopkins International Airport, recalled search efforts to recover the body of the pilot took five or six days. He said the safety of the divers and others involved in the recovery will be weighed as the effort proceeds. The aircraft took off westward from Burke on Thursday, then turned north across the lake, according to the tracking service flightradar24.com. The departure procedure at Burke could take an aircraft over the lake before turning south toward a destination, Mullen said.